It’s hard these days to get away from the idea of Farmhouse Decor- not that I WANT to get away from it. In fact, I completely understand its appeal. However, I have a very difficult time defining and describing it. It’s almost as if it’s a culmination of the best aspects from shabby chic, industrial, and primitive styles. 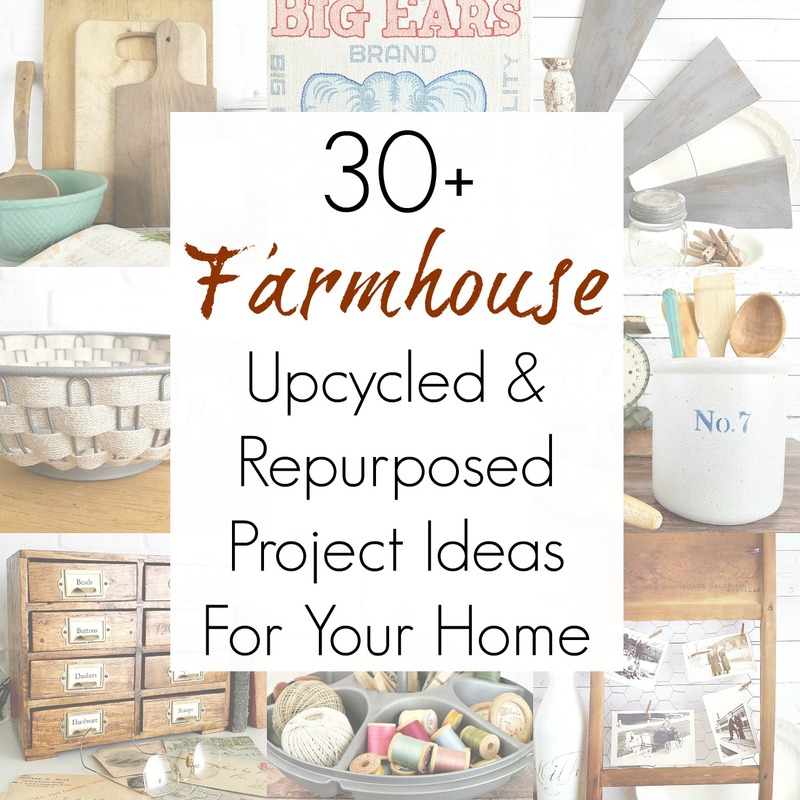 Whether you’re looking for farmhouse wall decor, items for a farmhouse bedroom…farmhouse furniture or just inexpensive decor with farmhouse style, then these upcycling ideas and projects are just the ticket you’re looking for! 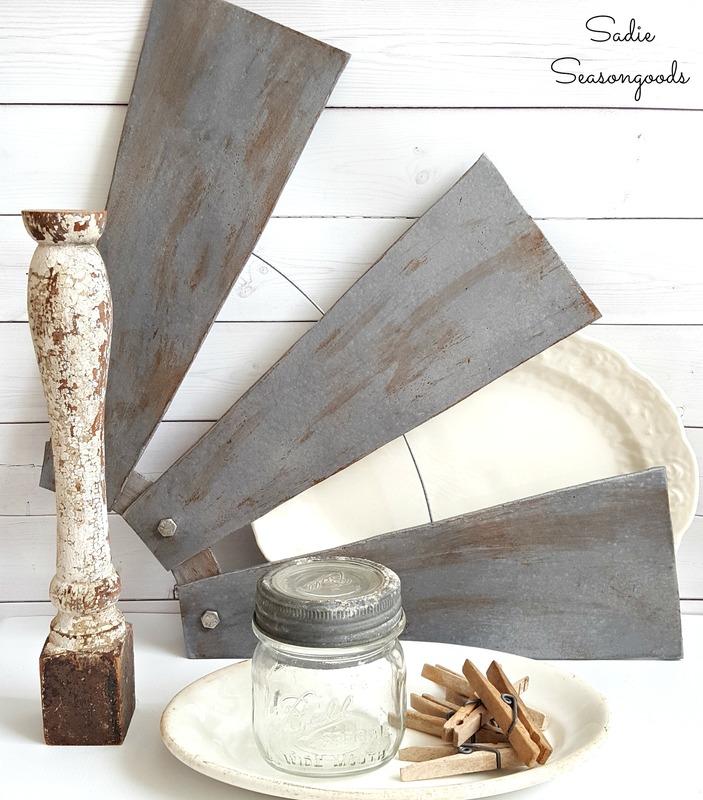 Creating vintage farmhouse style decor from thrift store pieces or curbside finds is a GREAT way to get the “Fixer Upper” look for a lot less money. 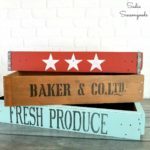 SO many amazing ideas for cheap farmhouse decor that DOES NOT look cheap! And I’ll admit, I’ll take the more vintage or industrial farmhouse style look over mass-produced modern farmhouse style pieces any day of the week, but maybe that’s just me. 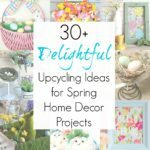 Plus, many of these upcycling ideas and projects could be incorporated into any home decor style…you certainly don’t have to fully commit your home to farmhouse style decor, I promise you. Now that you have so many upcycling ideas to work with, are you ready to go to yard sales in search of project parts and pieces? Make sure you create your own Yard Sale Emergency Kit for your car before you hit the road! Love this grouping! I don’t commit to any one style either simply because I love so many different things! So many inspirational ideas! That door turned into a tray is so cool! I know!!! I love it, too- thank you, Melanie! Loving all the ideas. Those go above and beyond the norm. I think farmhouse style is fresh and interesting, and uses old relics in new ways – just like our ancestors would have done on the farm! Thank you, Jacki!! So many amazing ideas out there. Lovely projects, I just need more space, LOL!! What a great compilation of creative ideas incorporating common American artifacts into beautiful, clever and useful pieces. This is an excellent post. Right up my alley. Love all of the choices. Your embroidered feed sack is one of my favorites! I’m a huge fan of “farmhouse style”. Would love to follow Chip & Joanna around fixing up houses to learn a few things. Great collection of projects! Great round up of ideas! Such cute and useful ideas. I love the horse bridle bucket. In fact, I was out shopping and almost purchased a glass candleholder that had the same leather strap bridle. So adorable. I love all the other ideas too, especially the sideboard and unique washtub ottoman. So many wonderful pieces to be inspired. Your description of Farmhouse Style is the best one I’ve come across. I never thought it would fit in my home but I’m changing my mind about that. Thanks for sharing your links with us this week at Celebrate Your Story. Thanks so much for including me in such an amazing round-up, Sarah! I got some new ideas from it! Love all you have featured here especially the scale turned clock. Great inspiration and such awesome posts. 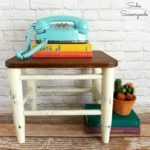 I love all of them, but the coffee table made from a salvaged shutter is my favourite! I’m just going nuts! They’re a ton of great ideas. I’m like the bridle! the ottoman! the dresser!! Haha, it’s a fun round-up!!! I love using re-purposed items for my home decor. There are some great ideas here! Great round-up Sarah. Lots of wonderful inspiration here. Thank you for sharing with us at Vintage Charm. I loved the post and I have some of those things and did not know what to do with them. I will try to make something out of them now. Thanks for all of those ideals. The hat rack was good ideal for me. thank you for the instructions for the windmill piece!!! i always wanted one too!!! now i can make one thanks to you!!! love your ideas!!!! !